TRACY HIGLEY Interview and GIVEAWAY! We're so excited to have Tracy Higley with us today! I'm personally a huge fan and let me tell you, you are going to love her latest release, AWAKENING. 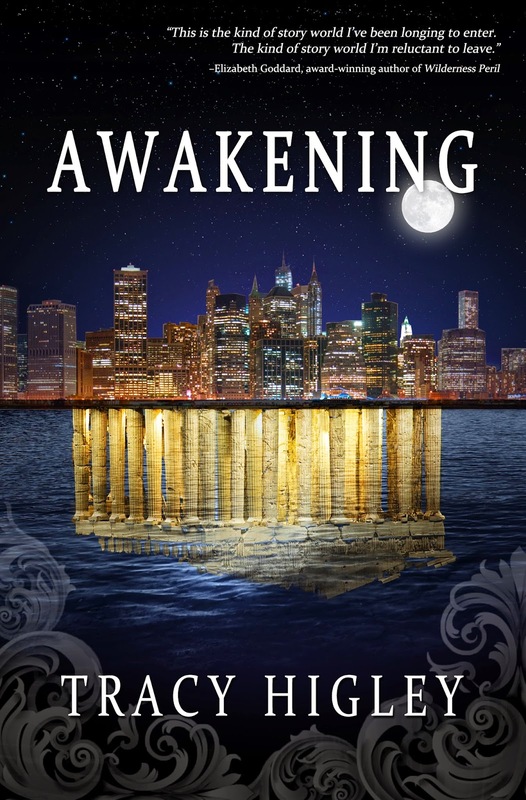 Tracy is giving away one copy--either print or ebook--of AWAKENING to one winner. To enter the drawing simply comment below and include your email address. Now, let's find out more about her. I started writing stories as soon as I picked up a pencil, I think! My first “real” novel was started at the age of eight. I wrote short stories, plays, poems, and newspaper articles all through my childhood, but it took until I was about thirty to begin getting serious about writing novels for publication. Besides writing, I also run an internet retail company, selling mainly craft and hobby supplies online. I have employees that handle all the day-to-day operations, which leaves me free to pursue writing, research, and travel. I’m also finishing up a Master’s degree in Ancient History. I think it was the evening I got the call from my agent that my first book had been offered a contract by a publisher. I’d only had an agent for about three weeks at that point, so the whole thing was very new. I was shocked! SS: Who has been your greatest supporter as an author? No question—my husband. In the early days, before the contracts started coming, he would rearrange his work schedule so he could be home with our little ones so I could get away and write, and his support has continued for the past twelve years – from encouraging me to get away to strategizing my career with me to just listening to me vent about stories that aren’t working! I’ve written both contemporary suspense and historical suspense, but I always seem to gravitate toward the edge-of-your-seat types of stories that are heavily plotted with lots of twists and turns. It’s what I love to read, so I guess it’s a natural fit for my writing, too. Every book seems to be at least a bit of my own faith journey – discovering the ways in which God calls us to be part of a larger Story, to take on our own adventures, and the ways in which we resist and struggle. I think I’m always working that out on the page, through my characters. I really enjoy the business side of my life, so that would probably fill up more of my time. I am very excited about this week’s release of Awakening. I’ve been writing historicals for a few years now, and this is my first novel with a contemporary setting for quite some time. It’s woven with historical elements, but the main storyline is about a woman who has lost her memory in some unknown trauma, and the global quest for an artifact that is mysteriously tied to her past. It actually started on a long walk with another writer friend – John Olson – who is awesome at coming up with storylines. We were brainstorming together about the book I would write if I had no constraints of genre, market, or expectations. The idea for the story was born that day, and evolved in the months that followed. I hope readers walk away with a sense of the mysterious and unexplained elements of the world in which we live – one where God is much larger than we tend to think and the unexpected can happen to any of us. I love the main character Kallie’s strength and courage in the face of the great obstacles she faces. Least favorite character? I love them all! Even the bad guys! I’m working on a trilogy of novellas that follow the magi on their journey to Bethlehem. It’s not your grandmother’s magi story, though! Suspense, action, adventure, and spiritual darkness abound. I’d love to still be doing what I’m doing – writing a couple of books each year and getting them out to readers who love them. I’d also like to continue my travels, and spend some longer periods of time in different areas of the world as my kids get older and more independent of me. I don’t really have a bucket list, but two places I’d really like to travel to someday are Morocco (Casablanca) and India. SS: What is the silliest thing you have ever done? Ha! I’m not nearly silly enough, so I will substitute “stupid.” I tend to get lost in my own head often, which results in some mishaps. Like getting seriously lost out in the world. Running out of gas (often). Forgetting to pick up children. It’s a problem. SS: What is the hardest thing you have ever done? Overcoming my significant claustrophobia to climb up the inside of the Great Pyramid in Egypt. Thanks so much for stopping by, Tracy! Don't forget to enter the drawing for AWAKENING by commenting and leaving your contact information! Award-winning author and writing teacher, Jill Elizabeth Nelson, writes what she likes to read—tales of adventure seasoned with romance, humor, and faith. 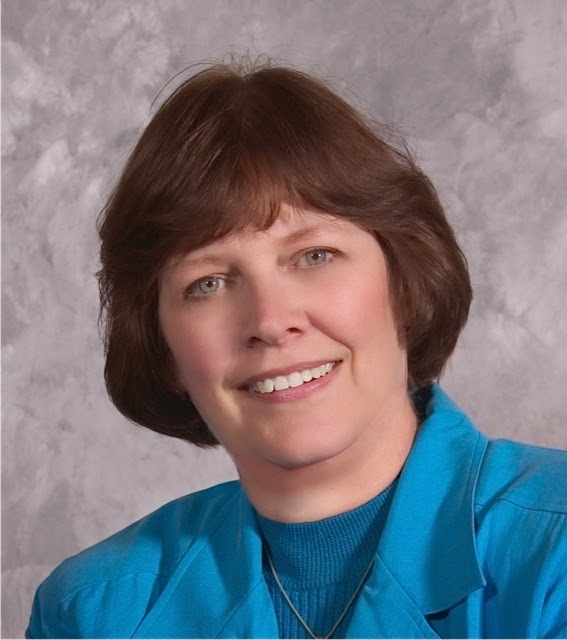 Jill is a popular speaker for conferences, writers groups, library associations, civic and church groups. She delights to bring the “Ahah! Moment” to students as they make new skills their own. Her bestselling handbook for writers, Rivet Your Readers with Deep Point of View, is available at http://amzn.to/IvQTkj. Her current release is Shake Down from Love Inspired Romantic Suspense. Leave a comment at the end of this interview for a chance to win a copy of Shake Down. By the time I was in the 6th grade, I was a voracious reader. My teacher that year was a kindred soul. Daily, she would perch on a stool at the head of the class and read the most delightful stories to us. Somewhere in the process of that exposure, it dawned on me that I wanted not merely to be the person who received pleasure from a good book but the one who gave that pleasure to others. That year, I wrote my first novel--a mystery, of course, but the world is grateful that not a shred of it yet exists. ;-) However, from then on the fire was lit. At times, the blaze has dimmed to embers, but it has never gone out. My writer's journey has taken me in many different directions. I've walked the roads of journalist, essayist, columnist, essayist, poet, story teller and book reviewer. My current path is the one I've coveted all along--novelist. My Guide and Mentor in all my travels is my Lord and Savior, Jesus Christ. It's a wonderful journey! No, I don't write full time--yet. I'm a dual career writer at the moment. By day, I'm the manager of a 36-unit Housing with Services apartment building for seniors. I love my work and serving the elderly. Writing is my night and weekend job. SS: Tell us about the moment you finally felt like a "real author." My moment happened just after the desert course at a writer's conference banquet in 2005. We were supposed to have our cell phones turned off, but I didn't dare comply. All afternoon I'd been expecting the call from my agent with the results of the publication board meeting at Multnomah, where they were considering my manuscript, Reluctant Burglar. The phone rang, and I slipped from the room, barely able to take in a full breath. "Are you sitting down?" my agent said in a somber voice that telegraphed another rejection. My heart sank, and I swallowed deeply. Then she yelled in my ear: "They're offering you a three-book contract!" What a wonderful occasion!! Not only had my dream of becoming a novelist come true, but sharing the moment with fellow writers was an incredibly sweet gift from the Lord. My husband. Definitely. He's been patient and encouraging every step of the way. He's an extrovert and loves to talk when he comes home, but when I'm writing--particularly when I'm on deadline--he is conscientious about not interrupting me. Quite a sacrifice from him! I think if my dad had lived to see my books published, he would also have been a big supporter. In my embryo days of high school scribbling, he was my biggest fan. He passed away when I was 18. Reluctant Burglar is dedicated to his memory. Since my faith permeates every area of my life, writing is no exception. Some stories contain a more overt gospel message, others more subtle, but I strive to honor God in everything I write. I see no point in any activity that doesn't do that. SS: If you couldn't write, what else would you do? I'm already preparing to do it--go on the mission field. This fall, I will be resigning my position as housing manager. My husband (who is already retired) and I will then head for Thailand for a four month stint at a mission training center that serves ministers in numerous countries throughout Asia. We're getting very excited! Fortunately, writing is a career I can pursue anywhere on the planet, so I won't have to choose between being a missionary and writing. In fact, writing income will help support us on the field. SS: Tell us about your current book release. House of Secrets! To clear his imprisoned father’s name, Shane Gillum must find evidence hidden in a Martha’s Vineyard cottage. But he arrives to find the “vacant” property being prepped for sale by real estate agent Janice Swenson. Is she tied to the notorious owners? Or is she in over her head as the “accidents” on the property grow increasingly dangerous? And who is the saboteur targeting—Shane with his search, or Janice with her dark, hidden past? With so much at stake, trusting Janice is a huge risk . . . but keeping silent about the cottage’s mysteries could mire them both in a deadly scheme. SS: Who is your favorite character in the book and why? Probably Janice. Her backstory is so awful--unimaginable to most of us. I enjoyed writing her as a character to be admired, not pitied. She was something of a mystery to be plumbed, even for me. I actually didn't know until toward the end of the first draft how her story would ultimately dovetail with the discovered diary of an ancestress and what impact the choices of her forebear would have on the modern-day woman--or upon her and Shane as a couple. My readers will tell me if I've drawn the threads together effectively. SS: Now let's get a little personal. Name something on your "bucket list" that you haven't done yet. Visit my sister in Alaska. Never been there, even though she's lived there for years. I will fulfill that goal this fall. On our way to Bangkok, we're going to take a detour to Alaska and spend Thanksgiving with her family. 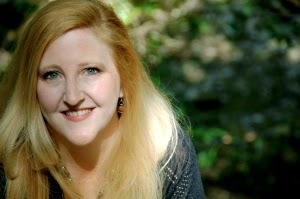 I'd love for readers to visit me on the web at http://www.jillelizabethnelson.com. My web site contest page offers a monthly opportunity to play a game for a chance to win a copy of my latest release. Readers can also meet up with me on Facebook at https://www.facebook.com/JillElizabethNelson.Author. 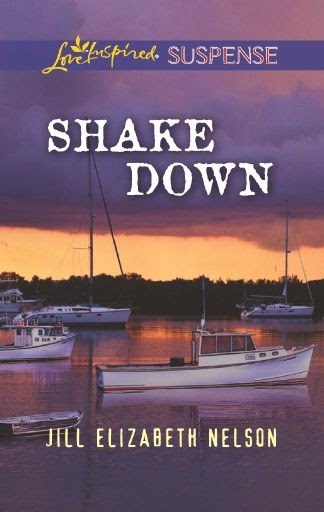 If you would like to win a copy of Jill's book, Shake Down, leave a comment, along with your contact information. We'll draw a winner on Monday! Thanks for visiting the Suspense Sisters blog. Award-winning author, Sunni Jeffers is setting course for a new life adventure. After ten years as a navy wife and mother, they moved to Denver, Colorado to manage the family security business. When her children left home, she began writing books. In 1992, Sunni and her husband moved to the Great Northwest to raise cattle, timber and hay and to give her the time to write stories of other women and their struggles and victories. Now Sunni’s fourth adventure has begun. She and her husband are exploring the US and Canada in their motorhome. As they travel, she continues writing heartwarming cozy mysteries and stories of delightful women living out their faith as they face challenges and adventures in everyday life. I started writing in 1988, after I took a two-day class on writing a romance novel with my sister. She wanted to write. I didn’t have a clue. Ten years later, I won the Romance Writers of America Golden Heart Award for Best Unpublished Inspirational Novel. It was my third completed book. It was finally published in 2001. Since then, I have had fourteen books published. I’ve been a Jill-of-all-Trades. Nurse’s aide, florist, sewing instructor, seamstress, and school bus driver. I spent eighteen years as a business owner/office manager/bookkeeper in a security business, then nineteen years as a cattle/hay rancher with my husband. During the last twenty years, I have written full time and part-time. I write part-time now. We are living the retirement dream of traveling half the year in a motorhome. I write while we travel, but take plenty of time off to explore and to play. I didn’t feel “legitimate” until my second book was published and I had a third contract. Even then, I wasn’t confident that I had a career. Definitely my husband. He was proud of me when I started and every step along the thirteen years before my first published book came out. He read every word and did his best to help me. He sacrificed so I could attend conferences and classes and spend hours alone writing. Without his encouragement, I might have given up a long time ago. 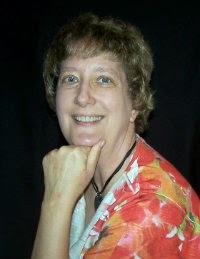 I have written romance, contemporary inspirational series (Americana) and cozy mysteries. I’m leaning back to romance and romantic suspense, and plan to write several historical romance series. All of my writing – even my new book, which is more of a secular book than an inspirational – are written from my world-view, which is definitely Christian. It is who I am. I can’t write from a view that I don’t believe. In each book, I seem to learn a spiritual lesson along with my characters. Those lessons aren’t planned. They just happen. I love to travel. Fortunately, I get to do that and write, also. I love research and history. When I visit someplace new, I always think of stories I’d like to write about the history of the place or something in the setting. My most current release is All Sewn Up, a cozy mystery for Guideposts Books series, Secrets of the Blue Hill Library, writing as Emily Thomas. It’s the first time I’ve had to use a common pen name. This is part of an ongoing series about a small town in Pennsylvania, and a beautiful Victorian library bequethed to the town. The stories are collaborative efforts between the editors and the authors. Giving is a gift to the giver, as well as the receiver. It’s a lesson I learned from my mother, who was always giving of her time and talents to help someone. Anne, the librarian, is a delightful character with big heart and a large dose of creativity and curiosity. I’m glad you asked. I’m finishing the final edits on a book that captured my imagination many years ago. Brush of Angel’s Wings is a romance, a suspense thriller, a book with love and angels and genetic engineering. It should come out in August. It will be available on Kindle and also in print through amazon.com. There are many writing goals still out in front of me. A romance series to complete—Rocky Mountain High, with book two ready for an editor. Two historical romance series in proposal state—The Solomon Brothers, and Angels in White. A romantic series in a small river town in Washington State—2nd Chance Ranch. Besides those, I have several stories floating around in my head. My husband and I are living our 4th life together. We’ve gone through one bucket list and fulfilled all but one dream. To live aboard a boat. Not sure I still want to do that for a long period, but I’d love to try it out for a month or two. I’d love to charter a boat and travel up the Inland Waterway from Texas up to the Great Lakes. A second item on my bucket list is travel, which is unending. I dream of visiting Israel and the Bible lands. With the conditions in the world, I hope that will be a possibility someday. Go rattlesnake hunting in Montana. Insane. We bagged 26 rattlesnakes, 9 blue racers and 4 king snakes. They all went into a large glass cage in the local utility district office. They would be used for educational purposes at the local schools, then released. I’m still recovering from the hardest thing I’ve ever done. I wasn’t alone. My husband and I cared for our son-in-law during his last months battling cancer. He passed away in May. This was an emotional and physical and spiritual journey that held many heartaches, but also many blessings. We saw first hand how God is always faithful and present and how we can trust Him in all things. I love to connect with readers. Please come visit me on facebook. I’m in the process of revamping a very out-of-date web site and blog, so stay tuned. I’ll share on facebook when they are up and running. If you'd like a copy of Sunni's book, ALL SEWN UP, leave a comment, along with your contact information. We'll draw a winner on Monday!